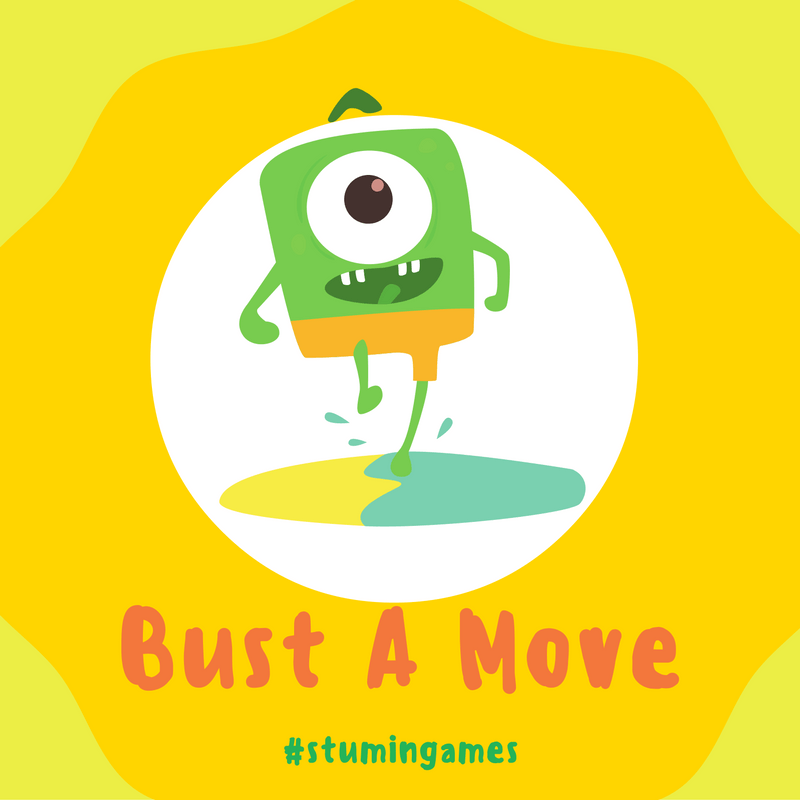 Bust A Move is an awesomely fun and hilarious group game that is guaranteed to be a hit at your next party or gathering. If you you’ve ever played the Simon Says electronic game, you know that they test your mental quickness and memory. Bust A Move is similar, except instead of touching colored panels, players will have to repeat dance moves! Before you begin, write down some simple dance moves on pieces of paper and distribute one to each player. Make sure that they don’t look at each other’s, as that will give them an advantage. You will distribute the papers after each round, so just gather them up and hand them out each time. Bust A Move begins with everyone standing in a circle. Select someone to start and have them perform the dance move on the paper (if you don’t think people will know the moves, you can demonstrate each one before you begin). After they perform the move, the next person in line will repeat the first dance move and then the one on their paper. This goes on, each person repeating every dance move, until someone either forgets, performs a move out of order or runs out of time (5 seconds). When a round ends, the person who made the mistake is eliminated. You will then work down to two people, who will have to take multiple sheets of paper and perform the moves against each other until one finally makes a mistake. The remaining dancer is named the winner. Feel free to use them all or just a few. You can reuse dances if you have a large group. The challenge of the game is remembering the moves. Don’t get to caught up in excellent execution. Let you group have fun and give them permission to laugh with one another! If you have a really large group, break into multiple groups and let your best dancers compete in a super group in front of everyone! 1. Get some great upbeat dance songs and play them during the game. 2. This is also a great up front game if you know you have some great dancers in your group. You might be shocked by how awesome some people are! 3. Find a fun trophy or award an iTunes gift card to the winner so they can go get some more great tunes to dance to! 4. Take pics and video. This is great for SnapChat or Instagram Stories!